Building a SaaS or subcription business—or any successful business, for that matter—is about optimizing revenue and minimizing costs.That's how you stay in business, and that's how you grow as a business. Enter direct converters—those customers that go through your marketing funnel without touching the sides. They're not fed through drip campaigns; they don't need any lead nurturing emails. They just go right to your website and sign up. Seem like a dream? Not so fast. It's true that these customers require very little money and effort to acquire, but they're not the type of customers that are going to optimize revenue. These customers could be the exact wrong type of customers for your business to acquire. These customers are dangerous because they won't have high lifetime values with your business. It all comes back to the fact that they might not fully understand and appreciate your product's core value. In a presentation at the 2016 Internet Summit, Moz founder and former CEO Rand Fishkin explained how direct conversions affected customer lifetime value at Moz. Customers who converted to Moz directly brought in customers with lower lifetime values (LTV) than prospects who view a lot of Moz's content before eventually converting. 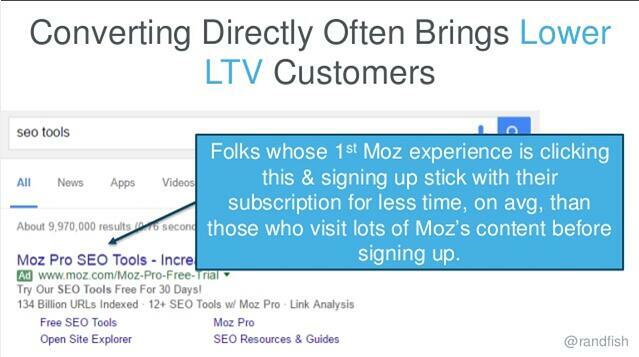 On average, people normally visit Moz 8 times before converting. These customers that Rand highlights are also converting to a free trial. For these people, they see that Moz offers a free trial and run straight in without considering whether the tool is right for them or learning more about the product. Potential customers search for answers to questions that they have regarding their workflow, and they find your content. They become interested in your content and your product and sign up for your email list. Then they contact you on your pricing page to learn more about different plans. They have many opportunities to learn about the core value of your product. Eventually, they come to decide that your product is the best tool to solve their problem, and they sign up. The average customer interacts with marketing materials 5-8 times before ever taking action with a company. As the potential customer gets to know your company, you also determine if the customer is a good fit based on the interest they show and the problem they're trying to solve. These customers' first and only interactions with your product are sign ups on your website. If these customers aren't really the right fit for your company and your product, they won't convert to a paid subscription and will churn out. This leaves you needing to replace these churned customers with good-fit customers—and add more—in order to achieve any growth. In SaaS, not just any type of customer will do. In fact, the wrong kind of customers do much more harm than good. If many directly converting customers don't realize the value in your product and churn out, you're left with a churn problem that will have you doing four times the work that you need to do in order to grow. 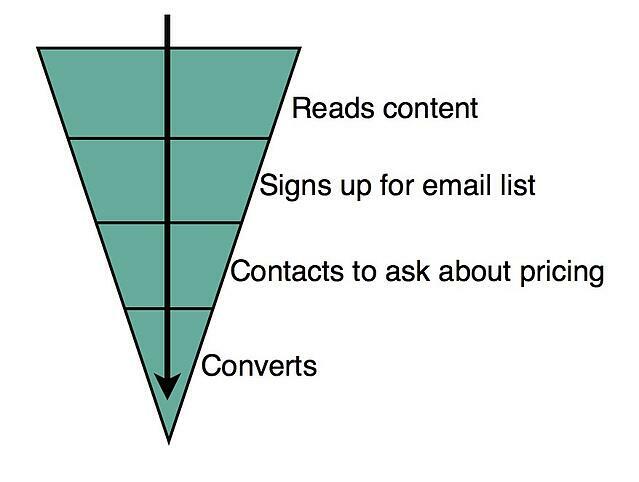 Your product might not have a broad enough value prop to support direct conversions to free trial. Direct conversions can work well if you built a product specifically for viral acquisition, meaning it has a very quick time to value and a broad, generic value proposition that appeals to a wide audience. If this is not the case, you'll waste effort marketing to customers who won't really find use in your product and will churn out. Your LTV:CAC ratio will be skewed. The ratio of customer lifetime value to customer acquisition cost is important in determining if the customers you are acquiring will generate enough revenue over the course of their lifetime to pay back their customer acquisition cost (CAC). If you acquire free trial customers that aren't really interested in your core value and quickly churn, you won't be able to cover those acquisition costs, or you'll recover them so slowly that the lingering debt will significantly slow your growth. You won't get actionable customer feedback. Good customers provide feedback that your prices are meeting their willingness to pay and your value proposition is resonating with them. Customers that quickly churn will enter and exit your customer base without providing any actionable insights. When you catch customers solely through the offer of a free trial—and they don't learn any other information about your company before they sign up—you're taking a huge risk on the lifetime value of these customers with the future of your company at stake. 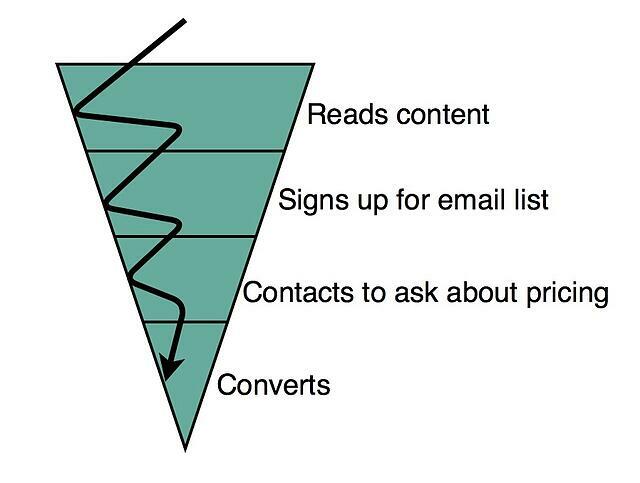 When you prompt potential customers to simply click on a free trial offer and convert, you're sneaking leads into your funnel. 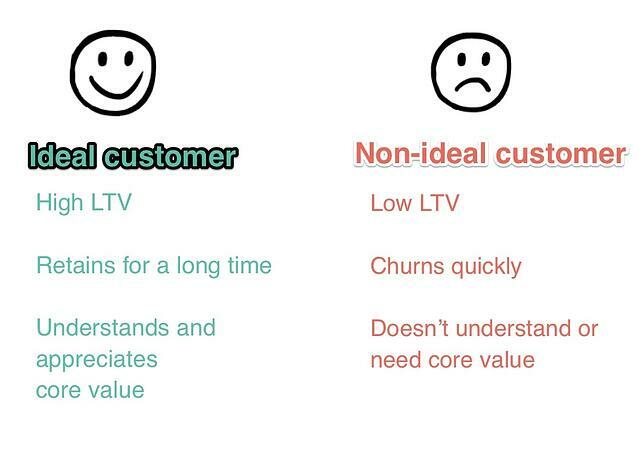 This leads to inevitable user churn when those non-ideal users aren't willing to pay for your product's value. Instead, you need to understand who your customers really are and what they want. Then you need to deliver that value to them within your funnel. When these customers convert, they'll be sure that your product is the right tool to solve their problem, and you can be sure that they have a real need for your product. Understanding who your customers are and what they want means collecting demographic information, feature preference information, and willingness to pay information to create robust, quantified buyer personas. Then, you can fill your funnel with the right customers by showing how your product matches their needs. For example, Demandbase personalizes their website copy (based on IP address) to potential customers who work for specific companies. This demographic information tells a potential customer who works at Salesforce exactly how their product would help her. She'll enter the funnel knowing exactly how Demandbase will provide her with value. By understanding what features your ideal customers like most in your product, you can understand what your best potential customers are looking for and then use this to target your marketing. While customers that convert directly to a free trial may be most attracted by getting something for free, ideal customers find value in the actual solution that your product provides. Conducting a Max Diff analysis for each buyer persona will tell you which features or value propositions those customers value most and least. 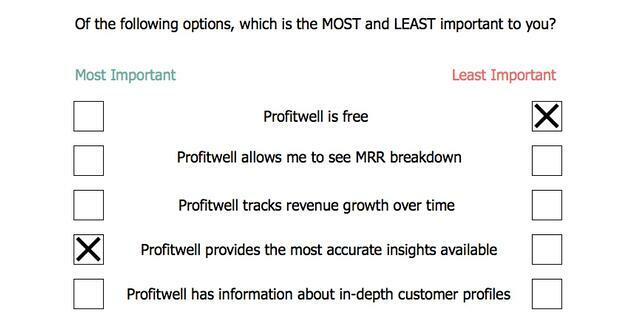 For example, this type of customer values ProfitWell most for its accuracy, and least for the fact that it's free. You can use the potential customers' expressed interests to tailor your marketing to them—and this custom marketing helps fill your funnel with quality leads that are really interested in features of your product. 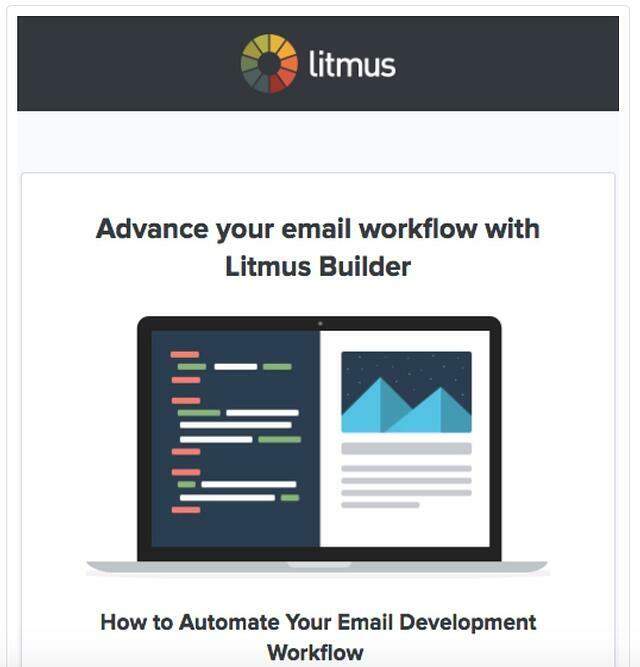 For example, Litmus sends an email about workflow automation to potential customers who have downloaded content about email workflows. Emails like this that are directly related to a customer's demonstrated interest have 241% higher clickthrough rates than standard email messages—so it benefits your funnel to understand your specific customers' interests. Willingness to pay separates those potential customers that could have high-LTV from the customers that convert directly to a free trial. 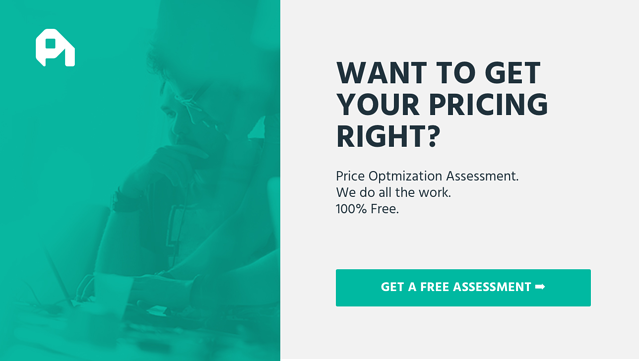 For example, Appcues tests out different pricing and then communicates their pricing packages--based on their research—clearly on their website. They include features in each plan that would be relevant to customers with different needs and different price sensitivities, which they determine by studying their own customer base and their customers' buying habits. Direct conversions bring instant gratification. But that gratification can quickly melt away when you realize that those customers didn't understand enough about your product to stay and pay, and you're left with a massive churn issue that drags down your growth. You're setting up your business to spike and crash. Spending time to understand your customer base and fill your funnel with the right kinds of customers is less instantly rewarding. But it means you're working towards a customer base that can grow with your company and contribute more and more revenue. You're building a strong foundation for long-term success.